Nashville, TN -- Multi-award winning artist and Australian native, Kristy Cox proves that powerful and meaningful music is truly a part of her with every note of every song. Part of Me, Kristy's second release for Pisgah Ridge Records, (an imprint of the Crossroads Label Group), is packed with emotional songs sung from the heart, and delivered by a true vocal powerhouse. Nashville, TN --- The “Land Down Under” has given more to the world than just a fine actor named Hugh Jackman. It was Aussie car company that fitted the first radio into a car in 1924. And now, the ride will be even sweeter with the lovely strains of another Aussie pouring warmly through the speakers. Nashville, TN – With a tune from their self-titled debut album on Pisgah Ridge Records, a division of Mountain Home Records, Flatt Lonesome, moves into the airplay Top 10 with “I’m Blue.” The song was written by Flatt Lonesome’s Paul Harrigill and his sister, Amber Nugent. Brand-new bluegrass group Flatt Lonesome is proud to announce the release of their debut album on Pisgah Ridge Records, a division of Mountain Home Records. Winner of the 2012 SPBGMA Band Championship, Flatt Lonesome is comprised of siblings Kelsi, Charli, and Buddy Robertson along with Paul Harrigill, Kelsi’s husband, and friends Dominic Illingworth and Michael Stockton. The self titled album features a mix of driving bluegrass, gospel, and unexpected covers of country music favorites. From edgy originals like “One Foot in the Grave” to pleasant surprises like the Little Big Town hit “Boondocks,” Flatt Lonesome’s passion, energy and exceptional musicianship combine to make their debut release a true standout. With high lonesome harmony, soaring sibling vocals, and powerful bluegrass musicianship, the self titled album hit the streets Tuesday, January 29th. The world premiere of the self-titled debut CD by Flatt Lonesome is this Wednesday, January 23, at 11:00 am ET on the Sirius/XM Bluegrass Junction show. Join host Kyle Cantrell for this exclusive as he interviews the members of Flatt Lonesome and plays all of the cuts from their new album on Pisgah Ridge Records (a division of Mountain Home Records). Flatt Lonesome's Track-By-Track will rebroadcast on Thursday, 1/24/ at 9:00 pm ET , Saturday, 1/26, at 8:00 am ET, and Sunday, 1/27, at 11:00 am ET. Crossroads signed The Harper Family to their Pisgah Ridge label earlier this year. The family band will be releasing their major-label debut, Changes on July 17th. 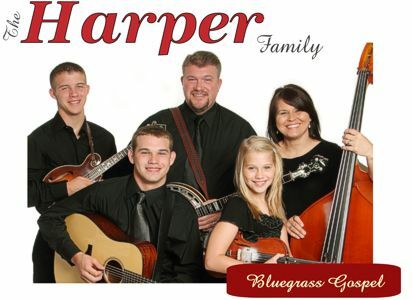 The Harper Family presents a fresh sound of hard driving bluegrass gospel music. Arden, NC - Crossroads has just signed The Harper Family to our Pisgah Ridge label. Their major-label debut, Changes, comes out on July 17th. The Harper Family presents a fresh sound of hard driving bluegrass gospel. Delivering a blend of vocal harmony and acoustic music like no other. New River was born from a love of bluegrass music, and the desire to share the love of Jesus Christ. 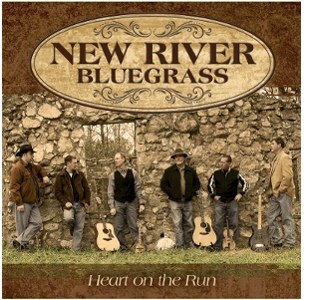 We hope you will take a moment and enjoy the bluegrass gospel experience you will find with New River as they embark on a new label with a new album. Arden, NC - January 4, 2011 Crossroads Entertainment & Marketing announces the launch of Pisgah Ridge, a new label for special projects and for promising up-and-coming Bluegrass groups. 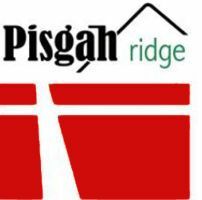 Pisgah Ridge will offer an award-winning studio production team, professional marketing and radio promotion, and worldwide music distribution.